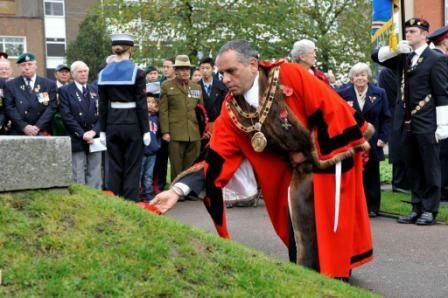 On the ninth of November 2014, Remembrance Sunday was commemorated across the country, recognising 100 years since the end of the First World War and of course Dartford was included in this commemoration. To join the commemoration and show respect for all those that have lost their lives throughout the past 100 years, many people across the country lay Wreathes and other adornments at their local memorials and graves. 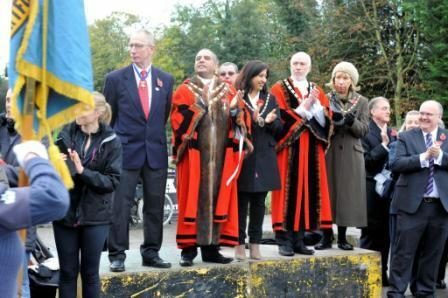 The now six-month Mayor of Dartford Avtar Sandhu MBE and Mayoress Sukhwinder Sandhu joined the citizens of Dartford in expressing their sincerity and appreciation for all those that have served over the years for the protection of the UK and all of us who call it home. For his part in the commemoration, the Mayor and mayoress adorned the local Dartford Memorial with a Wreath in order to help the community to express their appreciation for all those who have served in the armed forces for the protection of all in the country. The wreath-laying took place at the Dartford Remembrance Day Service, which started at 10:45am at the Dartford Borough Museum, and then proceeded to the memorial.